Named by Stanton and Dumbleton, after they climbed it on an Easter evening. 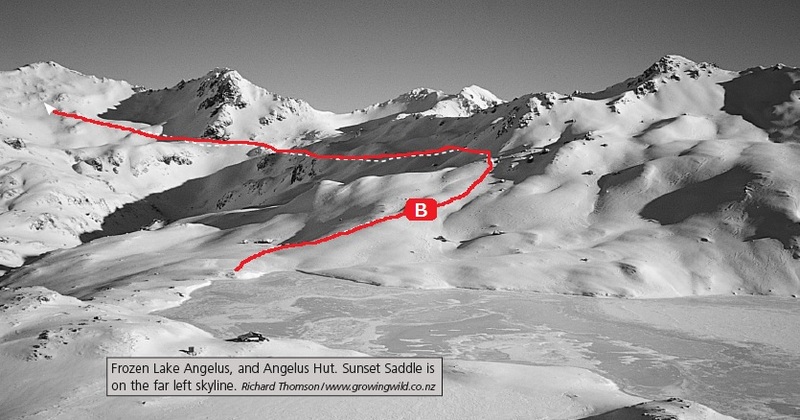 From Angelus Hut, descend to Hinapouri Tarn and cross its mouth or waist. The North Ridge is an easy scramble in summer, but in winter is often icy towards the top. Sidle Hinapouri Tarn high on the west then continue up scree and boulders to Sunset Saddle. An easy ridge leads to the summit. Climb the obvious ridge from the junction of Hukere Stream with the Travers River. 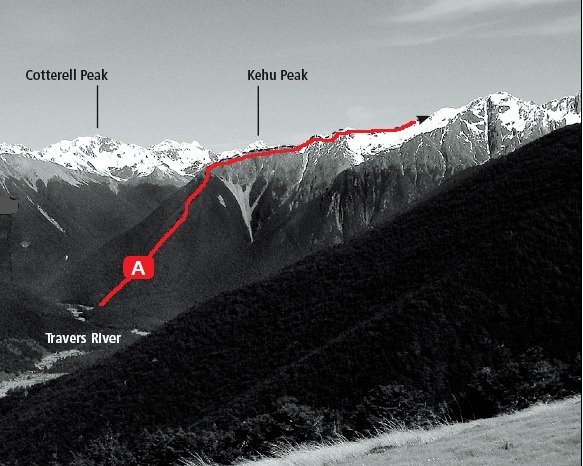 The upper ridge can also be gained just west of Pk 2037m, via a large scree gully 2.5km up Hukere Stream (map ref. M29/913228). It's pleasant ridge travelling (summer or winter), then a scree descent and traverse to a col overlooking the Hopeless Creek headwaters. The ridge from the col to Mt Angelus is exposed and has notches and pinnacles of loose rock which require careful negotiation. A good summer route.